If you’re in an accident and have damage that needs to be repaired or a part that needs to be replaced, you may assume that the body shop you choose will order a shiny new part straight from the manufacturer of your vehicle before making the repairs. But if you’re filing an insurance claim or looking to save money, this is unlikely to be the case. Lots of people prefer original equipment manufacturer (OEM) parts as opposed to aftermarket parts; OEM parts seem to fit a little better, and you have the peace of mind that any replacements or additions to your vehicle will be made with parts right from the manufacturer. The only problem is that most insurance carriers only cover the use of aftermarket parts and not OEM parts. Do not assume your car insurance coverage automatically covers OEM parts -- because most likely, it does not. If you’re set on OEM parts, here are a few ways to try and make sure they’re covered by your car insurance claim. If OEM parts are non-negotiable to you, you will need to look for a car insurance carrier that covers OEM parts. Some insurance carriers do not offer them at all. When you are shopping for car insurance, make OEM parts one of your top questions for the insurance agent. Even if an insurance carrier offers coverage for OEM parts, they are probably not automatic on a standard policy. You will need to request the coverage and most likely pay an additional fee to get it. OEM parts are easier to obtain for newer vehicles -- it could be impossible to get OEM parts for older vehicles. Aging vehicles or discontinued models may not have OEM parts available. 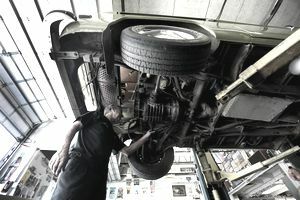 Aftermarket and used parts are sometimes the only options for a repair or addition; there is only so much a body shop, and an insurance company can do about it. It is up to you to determine if you want OEM coverage. Ask a body shop about the availability of OEM parts for your vehicle if you think it could potentially not be available. What If My Insurance Carrier Does Not Cover OEM Parts? Sometimes OEM parts are just not an option covered by insurance. It does not mean you have to go with aftermarket parts. If OEM means everything to you, you can pay the difference between the price of the two options. Your insurance will cover the cost of the aftermarket parts, and you can tell the body shop you want OEM parts. You will be responsible for covering the difference in cost between the aftermarket parts and the OEM parts. The cost could add up quickly, so make certain you will be happier knowing the parts are straight from your car manufacturer. Why Don't Insurance Carriers Always Use OEM Parts? It is important to remember that insurance carriers use aftermarket parts to help keep insurance rates affordable for everyone. If insurance companies only covered OEM parts and body shops used them all the time, car insurance would cost a whole lot more -- not to mention to tremendous waste that would be created if one could only use a car part once! If you did not have any physical damage coverage on your vehicle and had to repair it on your own, would you pay the extra cost for OEM parts? Or would you use the cheaper parts which are extremely similar? Body shops love OEM parts and often make car owners nervous about any other type of part. Why wouldn't they love them though? They make more profit, the parts are generally new and shiny, they fit a little smoother -- and did I mention the auto shop makes more money from the sale of each one than they do from an aftermarket part? After an accident, insurance carriers are supposed to do what they can to get your car back to its original condition. Most average drivers cannot tell the difference between an aftermarket part and an OEM part. If you prefer OEM, plan on paying a little bit more for the coverage. Speak with a reputable insurance agent to find out how much it will cost you, to help determine if the cost is worth the coverage. Sometimes, fighting for OEM parts is just not worth it for your wallet or your vehicle. If your insurance policy does not cover OEM parts, it’s worth trying to fix your mental space before you fight for the more expensive option. If you want OEM parts, ask yourself why. Is it because you think they are the only safe option? Because your pride would be hurt by having used parts? Talk to some trusted experts on auto repair before you insist that only OEM parts will do. Nine times out of 10, it’s not worth it to pay more for a part that won’t be that much better anyway. What's the Difference Between OEM Parts and After Market Parts?